This exhibition is the first ever devoted to the relationship between two of the greatest artists of the Italian Renaissance: Giovanni Bellini (active about 1459–1516) and Andrea Mantegna (1430/1–1506). Through exceptionally rare loans of paintings, drawings, and sculpture, travelling to London from across the world, 'Mantegna and Bellini' offers a once-in-a-lifetime opportunity to compare the work of these two important artists who also happened to be brothers-in-law – a family connection from which both drew strength and brilliance throughout their careers. 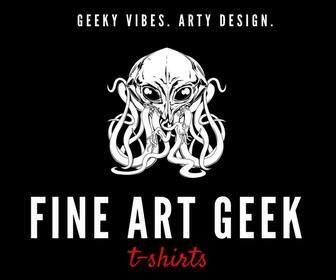 Neither’s career or artistic development would have existed without the other, and without these works imbued with their creativity and innovation, Renaissance art, by the likes of Titian, Correggio, and Veronese, would not exist as it does today. At the core of the exhibition are two historic juxtapositions of Mantegna and Bellini’s work: depictions of 'The Agony in the Garden', (Mantegna’s [above] about 1458-60, Bellini’s [top] about 1465) which have hung side by side in the National Gallery since the late 19th century, as well as two paintings of 'The Presentation of Christ to the Temple' (Mantegna’s version of which is in the Gemäldegalerie, Staatliche Museen zu Berlin) and Bellini’s in the Fondazione Querini Stampalia, Venice). 'Explorations' in the following room will examine the mutual impact of each artist on the other during the years of their closest creative exchange, around the time of the marriage that made them brothers-in-law. In this second room a number of juxtapositions will compare and contrast their approach to near identical compositions: Mantegna’s 'The Descent into Limbo' (Private Collection) and Bellini’s 'The Descent into Limbo' (1475–80, Bristol Museum & Art Gallery), Mantegna’s 'The Crucifixion' (1456–9) and Bellini’s 'Le Calvaire', both from Musée du Louvre, Paris. Room Three is entitled 'Pietà' and focuses on the origins and development of a distinctive new type of image – the Dead Christ supported by Angels. The works here will include sculptural reliefs (such as Mantegna’s 'Grablegung Christ,' Kunshistorisches Museum Wien, Kunstkammer) as well as works on paper (Mantegna’s Pietà, 1456–9, Gallerie dell’Accademia, Venice) and Bellini’s tempera on panel 'Pietà' (Galleria degli Uffizi). 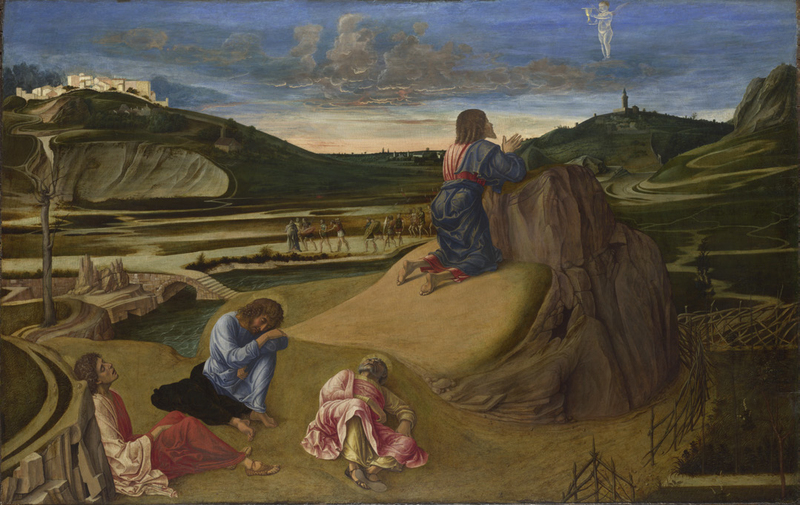 'Landscape' (Room Four) explores the enormous importance of Bellini’s particular contribution to the history of art – the depiction of beautifully observed landscape, natural light, and atmosphere as a key element of the composition and meaning of religious works (such as in Bellini’s 'The Resurrection of Christ', about 1478/9, Gemäldegalerie, Staatliche Museen zu Berlin). A particular highlight will be a first chance to see the newly restored National Gallery work, 'The Assassination of Saint Peter Martyr' (about 1507). 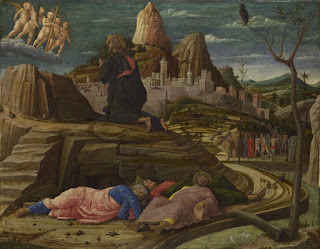 A number of pairings will reveal the differences in approach to landscape between the two artists – and also reveal the ways in which Bellini’s exceptional talent had a lasting effect on Mantegna (such as in his astonishingly accurate view of Mantua in his 'Death of the Virgin', 1462, Museo Nacional del Prado, Madrid). 'Devotional Paintings and Portraits' (Room Five) will provide a focused insight into a particular contribution to Italian Renaissance art – the development of the 'sacra conversazione' in which the seated Virgin and Child appear in the company of saints (‘in conversation’) as if occupying the same space and breathing the same air. Here Mantegna’s 'Holy Family' (about 1495–-1500, Gemäldegalerie Alte Meister, Staatliche Kunstsammlungen Dresden) and 'Madonna and Child' (about 1455­–-60, Gemäldegalerie, Staatliche Museen zu Berlin) will be seen side by side with Bellini’s 'Madonna and Child with two Saints' (Gallerie dell'Accademia) and 'The Virgin and Child' (about 1475, Gemäldegalerie, Staatliche Museen zu Berlin). The final room of 'Mantegna and Bellini' (called 'Antiquity') will feature some of the largest and most spectacular loans, which showcase Mantegna’s particular brilliance in the use of antique models and subjects to drive innovation in his art. A highlight will be three of his great 'Triumphs of Caesar' (The Bearers of Standards and 'Siege Equipment', 'The Vase-Bearers', and 'The Elephants', c.1484–92) , monumental tempera on canvas works measuring almost three metres square, lent by Her Majesty The Queen from the Royal Collection. Contrasted with these will be sculptural monochromes by Bellini, including 'An Episode from the Life of Publius Cornelius Scipio' (about 1506, National Gallery of Art, Washington) and 'Two men in antique dress' (Fondation Custodia, Collection Fritz Lugt, Paris), along with one of his final paintings, 'The Drunkenness of Noah' (about 1515, Besançon, Musée des Beaux-Arts et d'Archéologie).